This brush was made for a King, literally. 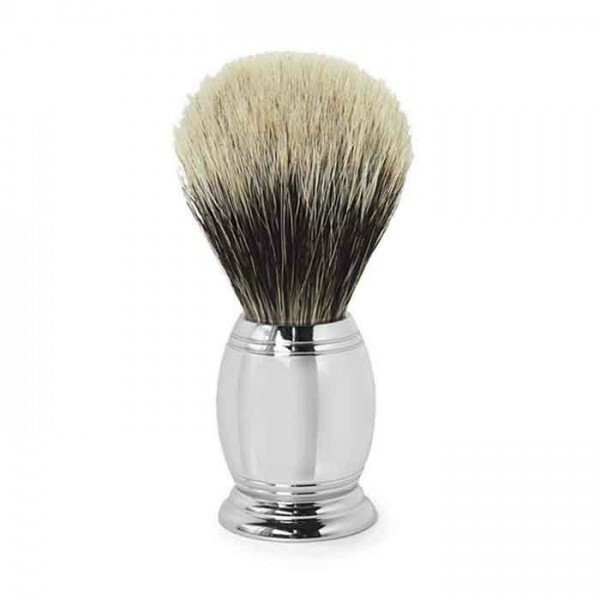 For centuries only the richest, most powerful men shaved with a Silvertip Badger Hair shave brush. Reason being, Silvertip is the rarest & finest grade of badger hair and has a naturally white shade and a fluffy appearance. Widely known for it’s superior ability to absorb and retain water. Made of heavy duty metal and chrome plated to offer a weighty feel & sleek, rich look.